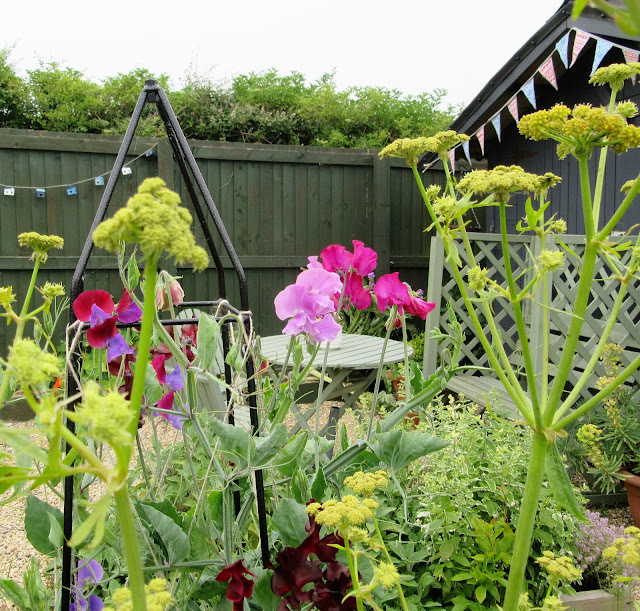 There is an abundance of flowers and the vegetable garden is starting to produce a fantastic harvest. 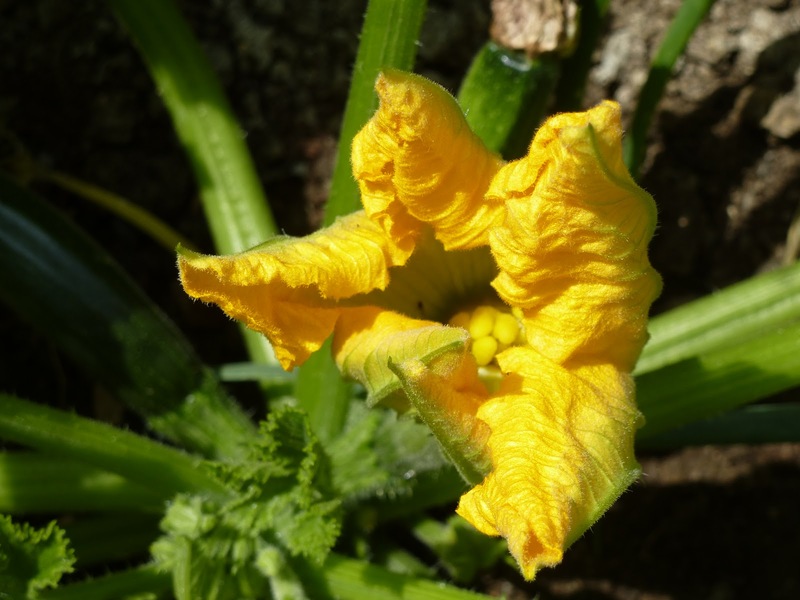 The first courgette flower has just appeared and we have had our first cherry tomatoes, we have also been enjoying broad beans, radishes, salad crops, strawberries, raspberries and gooseberries. Fresh produce from the garden always seems to tastes so much better than anything you can buy! This is the third June in our new garden and some of the cuttings we bought from our previous garden are looking so established now! 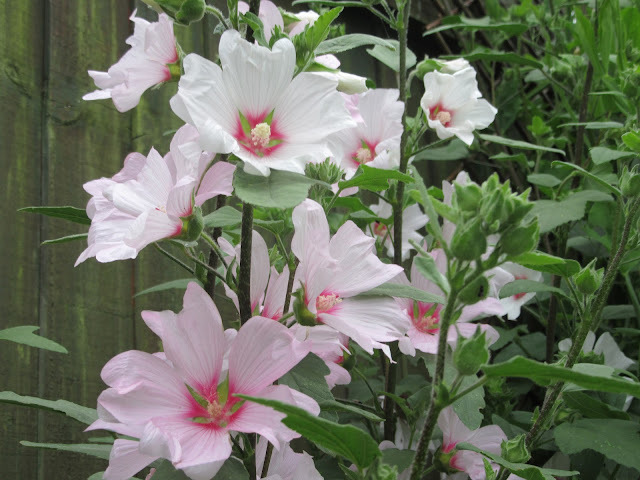 We have had to buy some our old favourites too, such as the astrantia and the mallow. |Our garden here contains many more colourful plants. The border above, containing cat mint and alchemilla mollis has given us a wonderful view from our kitchen window. It has been so dry here for most of the month, the water barrels ran out of water again. The last few days of the month have bought heavy rain, although the water barrels are now full it also resulted in a leak in the potting shed roof, hopefully this can be repaired before any more heavy rain! 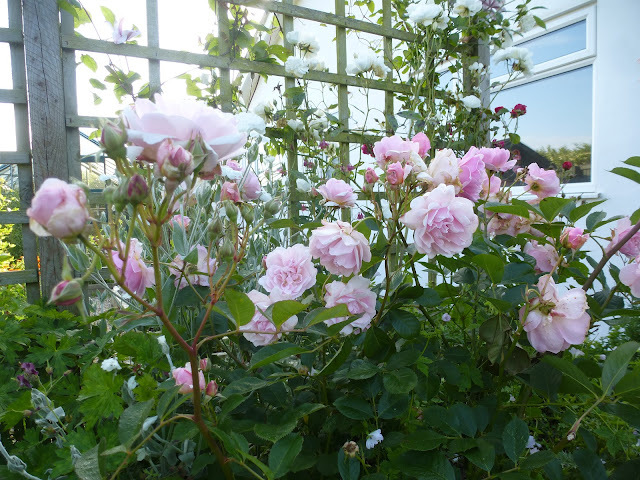 June is always the best month for roses too, their scent and beautiful blooms have bought us so much pleasure. Oh the beauty Sarah. The roses are exceptional. Gophers, moles and Norway rats love my garden too. I am at a loss, but would love looking at your garden. 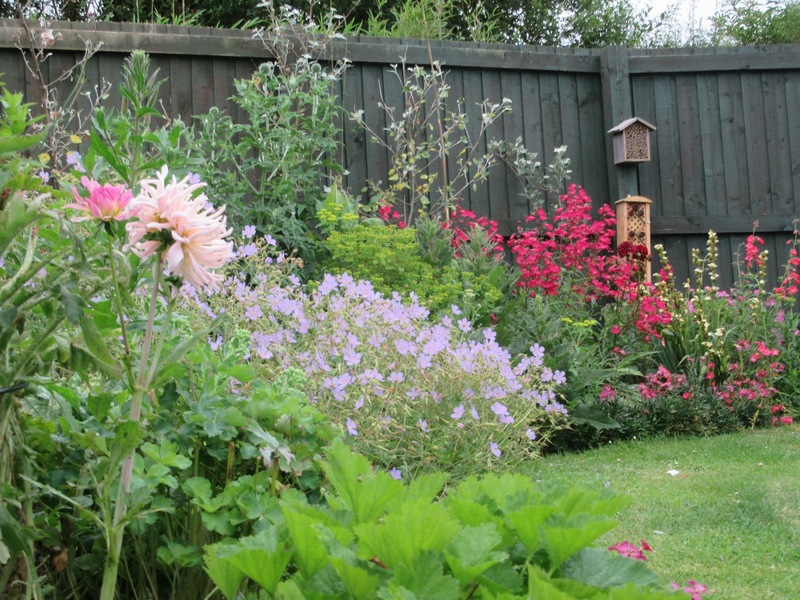 When I look at pictures of our garden two years ago it is, amazing how it can and does grow! These first few years are the rewarding ones. Such incredible beauty and all in one place! Gorgeous, Sarah. We really should get more organised - your garden looks/sounds so wonderful! That said, the estate is holding its own; as we do. PS - I agree those roses look stunning! WOW! 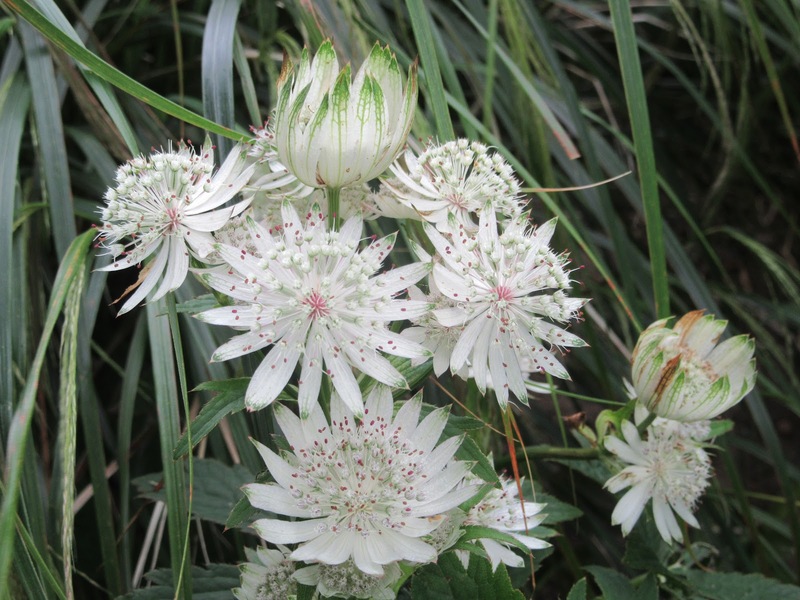 Lovely flowers, Sarah, and I am particularly smitten with the Astrantia with which I am not familiar. I took some photos of our garden to participate but have not posted them yet. I absolutely love your roses! Your garden is full of beauty, but roses are my favorites. Your collection is breathtaking. Thank you for sharing. My favorite in my garden will always be my roses..
My disaster this summer is a result of the horrid heat and the pesky cut bees.. They have taken a toll on the leaves. 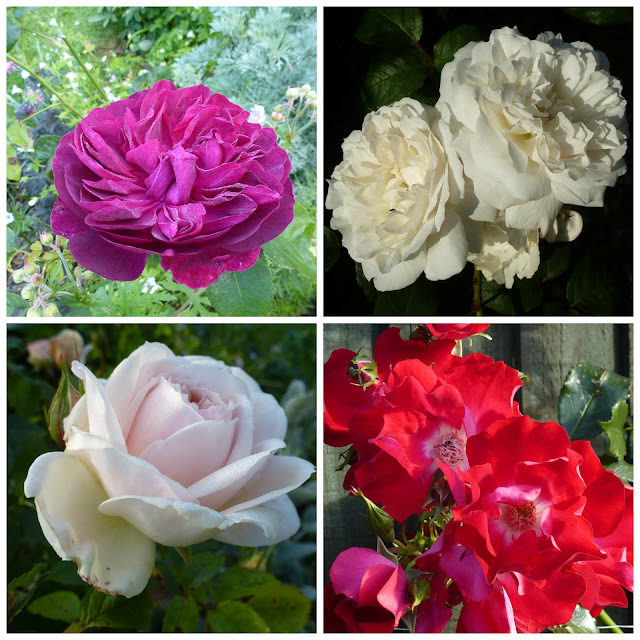 Your garden looks amazing with all the beautiful flowers and I especially love your roses - is the pink one, a David Austin? We have rain here this weekend so no time to go outdoors in the garden. What is making me happy are some violas in the window boxes and pansies in pots and will share photos soon. Your flowers look beautiful, Sarah. Do roses in England ever get diseases? Mine never make it through the season without black spot or mildew. And I saw my first Japanese Beetle the other day. Lovely. June is such a blooming month! And I love when all of the first garden veggies are ready. We are a little behind you here. The peonies are just ending, we are gorging on strawberries--which are at their peak--and the new peas and baby onions are just ready for eating. I've not made a proper 'announcement' on my blog yet but we became home owners at last a couple of months ago so I now have my very own garden! It's just a small one but it will do! We've done quite a bit of work on it already but it's nothing like how I want it to be yet, that's a longer term project. We're leaving the garden for a but now as renovations have begun on the house! I always enjoy seeing your posts but over the next few months I'm hoping I might find a bit of inspiration or discover a new plant I like! 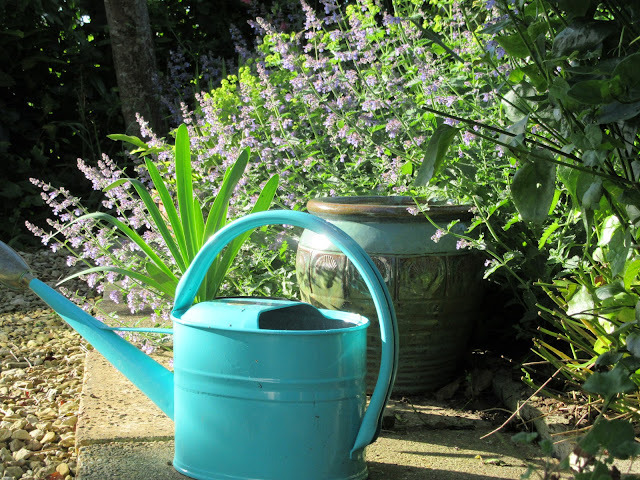 You have so many different flowers in your garden, I bet it's great for a bit of bug hunting! Your garden has become a haven of loveliness and prettiness really quickly. I recall how bare it was when you moved in three years ago - you have both worked wonders on it. 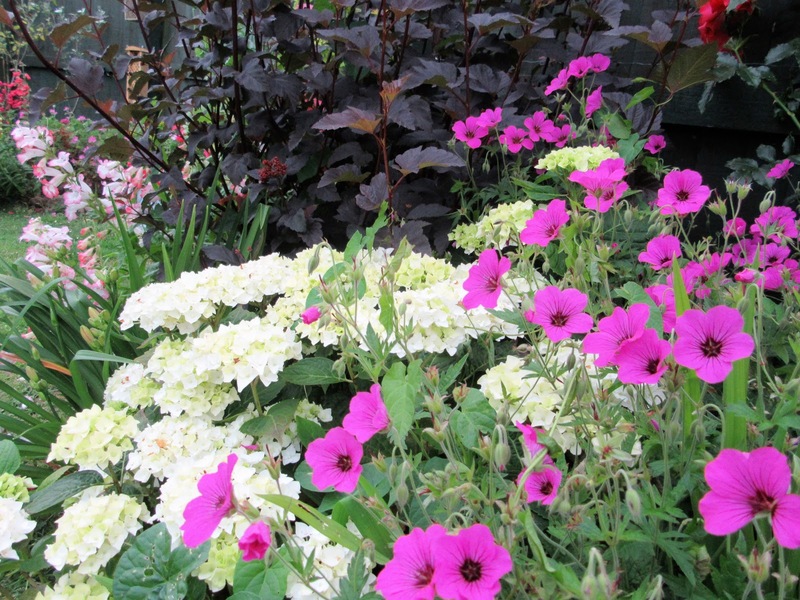 Your garden looks wonderful in spite of all the rain. The roses here have fared badly, hopefully we'll get a second flush. Three Junes already? Where does time go. Your garden is absolutely flourishing! I agree that fresh fruit & vegetables from the garden tastes SO much better than any others.I love the roses ( it will be November before ours bloom) & sweet peas are always a favourite. Nice to have cuttings from your previous garden. Enjoy summer! Hello Sarah, passing by to see the beauties of your garden. Your flowers are beautiful!! 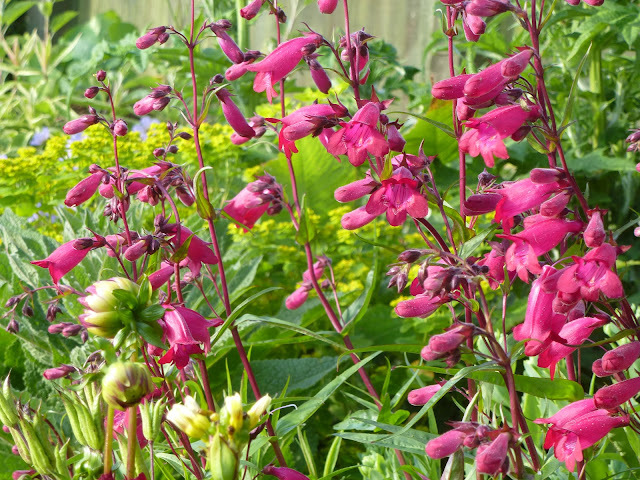 I can see you put lots of love and care into your garden and it pays off with this glorious beauty. It makes me happy to see it in your photos. Hello Sara, your pictures are beautiful. Hi Sarah, what a lovely garden. Hard to imagine you've only been there for three years, how time flies! Blogging has taken a back seat lately as IG has become the norm for posting pictures. I wish you a lovely summer Sarah and hopefully I will post end of July. Best wishes.